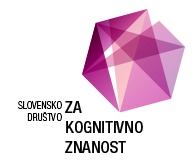 We are looking forward to host this year's MEi:CogSci cognitive science conference at University of Ljubljana. The primary purpose of the conference is to allow students of cognitive science (international programme webpage) to present their work to an international and interdisciplinary audience. Their talks will be complemented by invited speakers, who will present their current research. The official opening of the conference will start at 15:00 in lecture hall 1 (1st floor). The main plenary talk will be given by prof. Ivan Bratko from Faculty of Computer and Information Science, University of Ljubljana at the end of the first day in lecture hall 1, starting at 18:15. Where: Faculty of Computer and Information Science, University of Ljubljana, Večna pot 113, first floor (see map, conference venue). - Pre-conference workshop HOW: EEG (EEG theory and practice). - Post-conference workshop First-person inquiry. Ljubljana MEi:CogSci team is available at meicogsci2015@gmail.com for questions regarding the venue, organisation, transportation, etc. The main railway station is directly in the centre: Trg OF 6, http://www.slo-zeleznice.si/en/passengers. The main bus station is also directly in the centre: Trg OF 4, http://www.ap-ljubljana.si/eng/. Ljubljana’s Airport Jožeta Pučnika is located outside of Ljubljana: Zgornji Brnik 130a, SI-4210 Brnik-aerodrom: http://www.lju-airport.si/en/Main. Ljubljana is a very accessible city in terms of transport. If you plan your trip correctly you should always be able to use public transportation and arrive on time wherever you want to go. Best way to travel in Ljubljana is by public buses. While taxis might be useful in late-nights. Also take in consideration that Ljubljana is a fairly small city, so even walking is a fairly feasible option. Most of Ljubljana is covered by busses. The conference venue has only one bus (number 18) going from and to it. - Our busses are also Google maps supported which means you can plan your trip from point A to point B using Google maps, and it will tell you which buses to use and where to go. Simple example. - First rule is only use registered taxis, these are those with a big TAXI sticker on them. - Second rule is to always call the taxi with your phone to get a cheaper rate. - Third rule is to avoid expensive looking taxies standing in front of expensive hotels. In case you are intending to visit other places in Slovenia a good cheap way to travel is by ride-sharing. The website https://prevoz.org/ offers you the possibility to share a ride to-and from a place you wish to visit. Site is sadly only in Slovene (this site involves sharing a ride with regular strangers, please use common sense to ensure your safety). For information on parking in Ljubljana see: http://www.ljubljana.info/parking/ and http://www.lpt.si/en/parkings/ for parking map. P+R parking places are especially useful (and cheap) if parking for longer time. For paying on parkomats Urbana can also be used. Ljubljana has a very wide offer of foods. There are lots of nice not so expensive restaurants all over the city, as well as many fast-food options that might be interesting. Making a full list of good restaurants or places you might want to visit, would be slightly unfair to many other good places. Most common restaurants are Italian/pizzeria places, so getting some good pizza or other Italian food is very easy in Ljubljana. Besides Italian restaurants there is a fair amount of Chinese restaurants that offer very good Chinese food. If you enjoy food from far away or not so common places, Trubarjeva street is the way to go. Over the whole length of the street you have restaurants that offer food from Lebanon to Sudan. To get more information about food in Ljubljana and Ljubljana in general visit: http://www.visitljubljana.com/en/. - http://www.g-pub.net/ It’s in the city centre, near to other dancing and partying places, and it also offers a wide variety of good beers. Many thanx to University of Ljubljana cognitive science students for their help with organising the conference! (info on Ljubljana was assembled by Luka Železnik and on accommodation by Sabina Skubic).